There are no Hall of Famers in the numbers 21 through 25 for the Red Sox. However, that statement can be a bit misleading. Four of the five I have selected could be Hall of Famers if not for varying reasons. Two of them are borderline cases that have received varying support, while another clearly has the numbers to be there. “The Rocket” would clearly be a Hall of Famer based purely upon his numbers and awards. 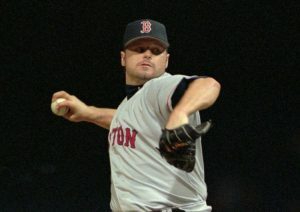 During his time with the Red Sox, Clemens became “The Rocket” and was a Hall of Fame pitcher for roughly a decade. During that time, he won an MVP Award and had a third-place finish. Clemens also won three Cy Young Awards while also finishing in second and third during other seasons. Clemens broke out in 1986 with his first Cy Young Award and his MVP Award. He had his first 20 strikeout game in April that season en route to striking out 238 batters for the season. He led the league in wins, ERA, and WHIP as he finished 24-4 for the pennant-winning club. Clemens led the league in wins again in 1987 as he won the Cy Young Award. After two more very good seasons, Clemens was as dominant as ever between 1990 and 1992. He finished second in the Cy Young vote in 1990 due to Bob Welch’s 27 wins, but Clemens was the better pitcher. He led the league with a 1.93 ERA that season and finished 21-6. Clemens led the league in ERA again in both 1991 and 1992, giving him three straight ERA crowns to begin the nineties. Clemens tailed off from there, but pitched very well for a bad team in 1994 and looked like vintage Rocket down the stretch in 1996 when he punched out 20 batters in a game for the second time. 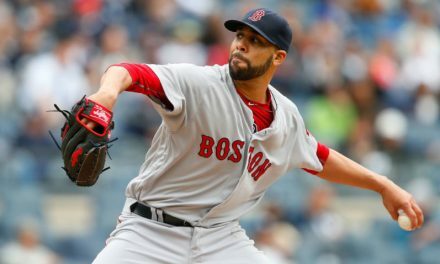 He went 192-111 with a 3.06 ERA and struck out 2590 batters during his time in Boston. From 1986-92 he averaged a season of 19-9 with a 2.66 ERA and 239 strikeouts. There is a strong argument for retiring his number. 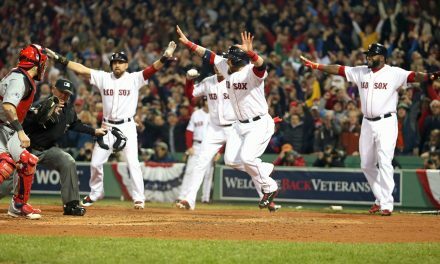 At number 22, we get an active Red Sox. 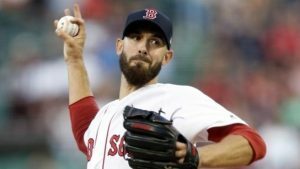 Porcello has had an up and down Red Sox career, but he did win a Cy Young Award and contribute to the 2018 World Series champions, so at a thin number he gets the edge. Porcello came to the Red Sox in 2015 on a questionable contract given his mediocrity to date. The decision looked like a disaster that first season as he was 9-15 with an ERA approaching 5.00. Porcello bounced back to enjoy a career year in his second season in Boston. In 2016, he led the league in wins, finishing 22-4 with a 3.15 ERA and a 1.01 WHIP. His 189 strikeouts were far and away – a career high at the time. Porcello regressed again in 2017, leading the American League with 17 losses despite playing for a division-winning ballclub. His strikeout numbers did stay up, however, but his home run rate skyrocketed. This past season Porcello found some middle ground, posting a 4.28 ERA while finishing with a 17-7 record. He set a career high in strikeouts with 190 over 191.1 innings. In the postseason, he made three starts and two key relief appearances, pitching to a 3.52 ERA. It’s been an interesting career in Boston for Porcello. Tiant is one of the most popular pitchers in franchise history. Tiant had some good seasons in Cleveland in the sixties but hadn’t been good since breaking a bone in his shoulder. He led the league with 20 losses in 1969, a season after winning 21 and posting a 1.60 ERA. He missed a lot of time in 1970 and the Red Sox were able to sign him during the 1971 season off the scrap heap. 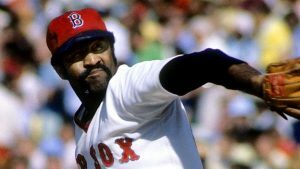 Tiant was not immediately good for the Red Sox, struggling in that first season. However, by year two he was pitching like it was 1968 again. Pitching out of the pen for much of the year, Tiant made 19 starts that season in 42 appearances, going 15-6 with a league-leading 1.91 ERA. The next season he won 20 games for the first time in five seasons, eclipsed 200 strikeouts and led the league in WHIP. 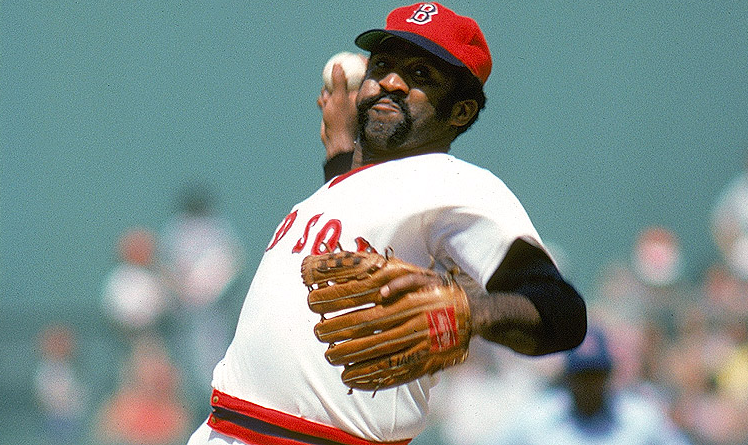 Tiant finished fourth for the Cy Young in 1974, going 22-13 with a 2.92 ERA in over 300 innings pitched. After an 18 win 1975, Tiant went 3-0 in the postseason. He pitched a complete game versus the Athletics in the ALCS and won two games against the Reds in the World Series. Tiant then won 21 games in 1976, giving him three 20-win seasons over a four-year stretch. He finished fifth in the Cy Young vote and made the All-Star team. From 1972 through 1978, his final season in Boston, Tiant was 121-74 with a 3.30 ERA, not too shabby for someone signed off the scrap heap. He has had varying levels of support for the Hall of Fame as he remains on the outside looking in. 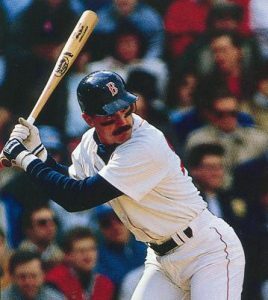 I would have loved to see Dwight Evans get his number 24 retired, but the chance for that probably ended with Manny Ramirez wearing the number. Dewey spent parts of 19 seasons with the Red Sox and played at a borderline Hall of Fame level. Had he hit earlier in his career as he did during the eighties, he likely would be in by now. Evans was always a great fielder, winning eight Gold Gloves in right field. His first came in 1976 and he won three of them during the seventies. His hitting was solid, yet unspectacular until the strike-shortened season of 1981. 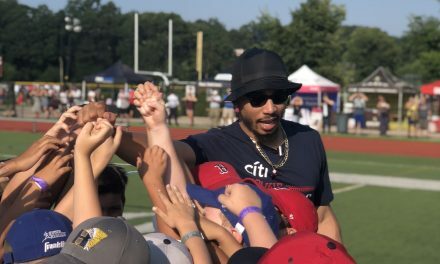 Evans led the league in home runs and OPS that season, making the All-Star Game, finishing third in the MVP vote and winning the Gold Glove and Silver Slugger Awards. Red hot before the strike took place, an argument can be made that the strike cost him the MVP Award. Had he won an MVP, maybe Dewey would be in the Hall. Dewey hit a career-high 32 home runs in 1982, a number he matched in 1984 and eclipsed with 34 in 1987. He led the league in walks three times during the eighties and OPS twice. For the decade, Evans hit 256 home runs and drove in 900 runs while posting a .280/.385/.497/.882 batting line. That’s some Hall of Fame work when you throw into consideration his eight Gold Glove Awards. When I say Tony Conigliaro could be a Hall of Famer, it’s not in the same way as the previous guys. Obviously, Conigliaro is not a Hall of Famer off what he achieved. 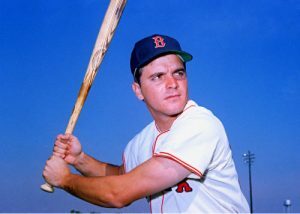 However, if Jack Hamilton’s fastball hadn’t crushed his eye socket in 1967, Conigliaro may have become a Hall of Famer. Conigliaro was just 22 years old at the time and already had 104 home runs in his career, with some of the season still to play. He had a home run crown under his belt and seemed like he could be well on his way to joining the 500 home run club. Even with the tragic events that took place in his life, Tony C is still the greatest Red Sox to ever don the number 25. On top of the previous statistics I stated, he did briefly return and even hit a career-high 36 home runs in 1970. Unfortunately, his eyesight rapidly deteriorated from there, quickly ending his playing career. In all, the local kid hit 162 home runs and drove in 501 runs for the Red Sox. 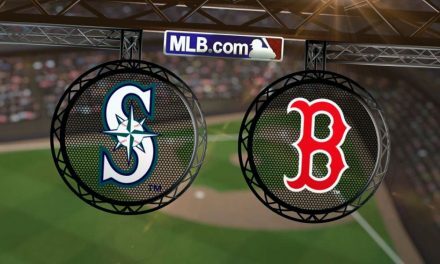 Would the Red Sox have won the World Series in 1967 had Conigliaro not been injured? NextIs this the last season for Patriots tight end Rob Gronkowski in the NFL?